Environmental toxins, chemical pesticides, heavy metals and inflammatory foods cause oxidative damage to cells, impact the immune system and, together with stress and hormones, can overwhelm the liver. Detoxifying to eliminate harmful substances from the body is treatment and preventive medicine for a host of conditions, including arthritis, cancer, constipation, skin disease, hormone imbalance, insomnia, irritable bowel syndrome and weight, mood and energy disorders. The Cleansing Detox Diet will help get you on a path to wellness – plus have a direct and positive impact on the health of the planet. The program detoxifies the body for optimizing weight, improving digestion, skin, joints, energy levels, hormones, immune system and overall vitality with 150 recipes to help you incorporate low-allergen, gluten-free, dairy-free and corn-free recipes into planning meals for you and your family. Here are some of our favourites! These delicious spring rolls are perfect for busy days when you don’t have much time to eat. Make them ahead so you can pack them for a quick meal on the go. If the stems of the kale leaves are thick, remove them with a small paring knife. Hemp seeds are considered a complete protein, meaning that they contain all eight essential amino acids. One tablespoon (15 mL) raw shelled hemp seeds provides up to 5 grams of protein. Two tablespoons (30 mL) hemp seeds meet your daily requirement for omega-3 essential fatty acids. 1. In a bowl, combine kale, 2 tbsp (30 mL) lemon juice and 1⁄8 tsp (0.5 mL) salt. Toss until well combined. Cover and set aside for 5 minutes, until softened. 2. In another bowl, combine carrots, beets, hemp seeds and the remaining lemon juice and salt. Toss until well combined. Cover and set aside for 5 minutes, until softened. 3. Remove kale from marinade, pat each leaf dry and place on a flat surface. Discard marinade. Divide carrot-beet filling into 4 equal portions. Place one portion on the bottom third of each kale leaf. Starting at the bottom of the leaf, roll up around the filling, making a tight cylinder. Transfer to a serving dish. Serve immediately or cover and refrigerate for up to 2 days. 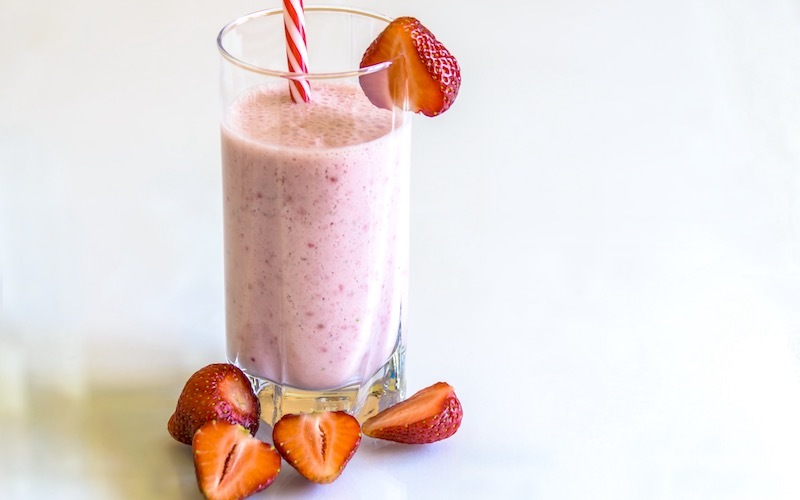 This is a simple and delicious recipe that everyone will love. 1. In a saucepan, whisk together coconut milk and sugar. Heat over medium-low heat, stirring constantly to dissolve the sugar. 2. Transfer to a bowl, cover and refrigerate for at least 15 minutes or until chilled. 3. Pour into ice cream maker and freeze according to manufacturer’s directions. Add chocolate chips in the last 2 minutes. 4. Transfer to a chilled freezer-safe container, cover and freeze until firm. Store in the freezer for up to 2 weeks. This dressing combines aromatic spices, rich avocado and tart lime. Toss it with crisp romaine lettuce and juicy wedges of tomato and cucumber. In blender combine water, lime juice, avocado, agave nectar, chili powder, salt and garlic. Blend at high speed until smooth. Serve immediately or cover and refrigerate for up to 3 days. The avocado dressing, together with the beans and sunflower seeds, contributes fibre and protein to fill you up. In a large bowl, combine avocado, greens, black beans and sunflower seeds. Drizzle with dressing and toss to coat. 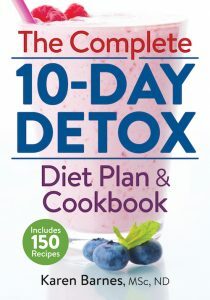 Courtesy of The Complete 10-Day Detox Diet Plan & Cookbook by Karen Barnes. © 2016 Reprinted with publisher permission. Available where books are sold.